Home › London › For Sale › Auto Parts › Garage in a Van - your local friendly 039Do it All039 mobile car mechanics. 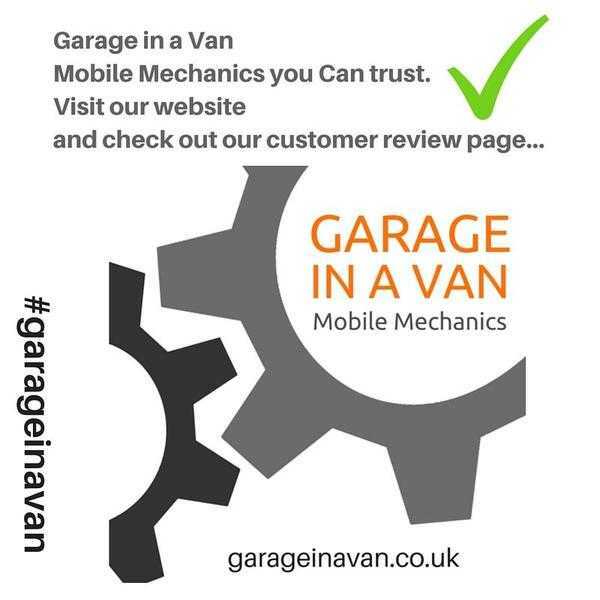 Garage in a Van - your local friendly 039Do it All039 mobile car mechanics. GARAGE IN A VAN provides car servicing, repairs and general maintenance to customers and clients throughout Kent, East and West Sussex, and Surrey. Established in 2011 the company has staff with over 58 years of experience in the motor mechanics sector. We are a 'One Stop' for all your car maintenance needs. 10% discount for new customers when you mention this advertisement.